A Machine Glasswashing Detergent, specially developed for use in automatic dosing Cabinet Glasswashers. Ideal for use in normal water hardness conditions. A unique formula that removes light to heavy soils, stains, tannins, proteins, grease and lipsticks from glasses of all types. Proto-Brite leaves glasses sparkling clean and giving enhanced head stability and lacing on beers and lagers. Designed to be used in Conjunction with Proton Krystal Klear Rinse Aid for a complete Glasswashing program. A Machine Glasswashing Detergent, specially developed for use in automatic dosing Cabinet Glasswashers. 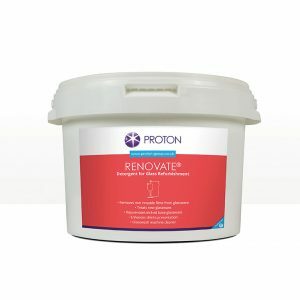 Ideal for use in normal water hardness conditions. 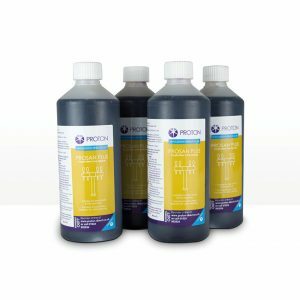 A unique formula that removes light to heavy soils, stains, tannins, proteins, grease and lipsticks from glasses of all types. While being gentle enough not to cause damage to either glasses or machine parts. 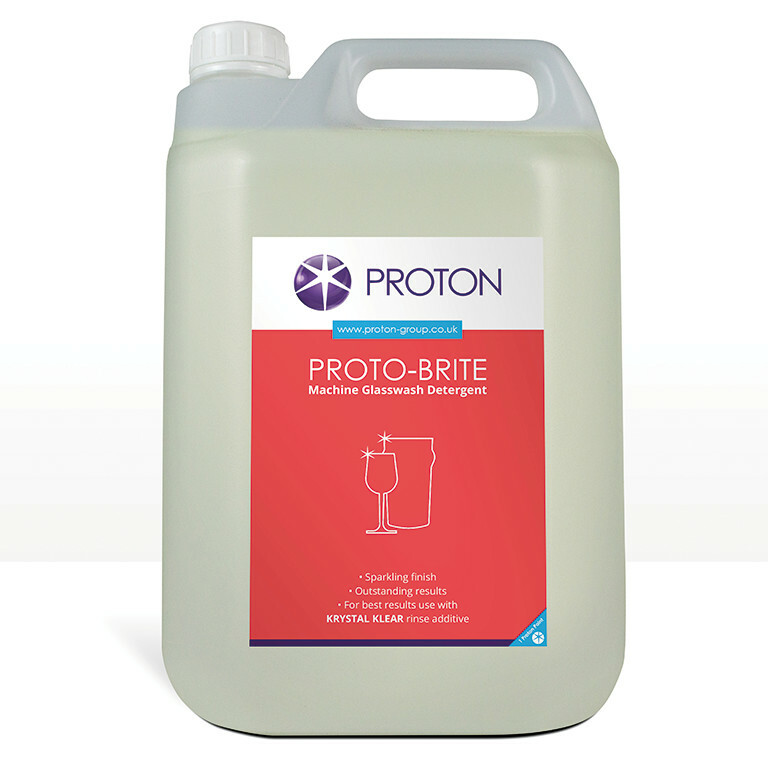 Proto-Brite leaves glasses sparkling clean and giving enhanced head stability and lacing on beers and lagers. 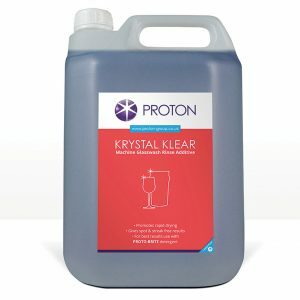 Designed to be used in Conjunction with Proton Krystal Klear Rinse Aid for a complete Glasswashing program.